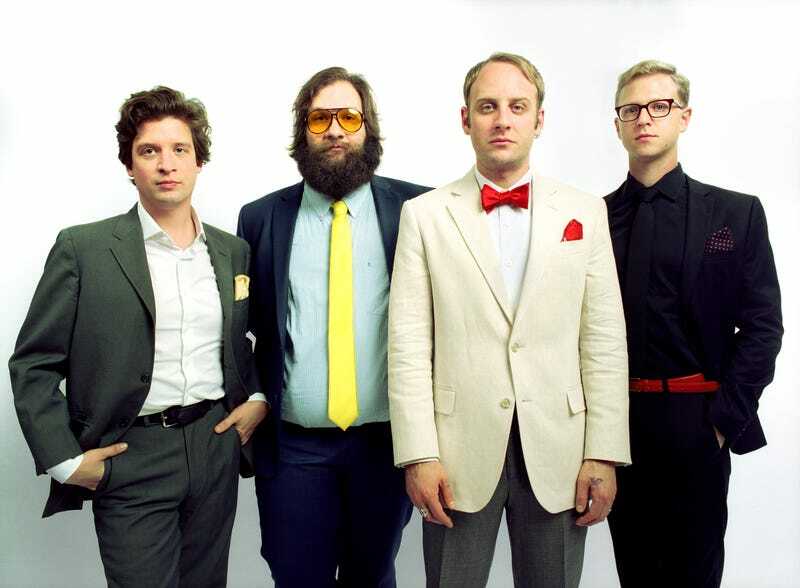 After 13 years, Deer Tick still doesn’t quite know what kind of band it wants to be. Not that this is a problem, really. The Providence, Rhode Island band has always threaded the needle between soulful ballads and party-starved garage rockers, and it’s proven too good at servicing both parts of its musical self to trade one in for the other. They’ve tried. Divine Providence raged with drink- and drug-infused glory, but it lacked a lot of the band’s somber heart. Frontman John McCauley and friends matured and sobered up considerably on 2013’s Negativity, minus the barroom rawness that made its predecessor so much cheap fun. No longer concerned with trying to choose between ballads and brawlers, Deer Tick instead fully indulges in both sides of its musical id on Deer Tick Vol. 1 and Vol. 2. The two-record set gives fans the best of both worlds, albeit with some clear-cut dividing lines. Vol.1 dedicates itself to the band’s more melodic side, while its counterpart is punched up with wayward rock ’n’ roll. The first half of this Jekyll and Hyde act showcases the kind of skillful songwriters and musicians Deer Tick have grown into. The 10 tracks cover a lot of ground, from Big Star-inspired power pop (“Sea Of Clouds”) to groovy pop rock (“Me And My Man”) and lounge-y bar tunes (“Cocktail” delves into McCauley’s struggles to keep on the sober straight and narrow). Vol. 1 also doesn’t lack for wounded pride and self-effacement. “Once you put the roof on top of your card house, I’ll make all your walls fall down,” McCauley sings on the Latin-flavored “Card House.” Sunshine still struggles to break through the band’s dark cloud, but leave it to Deer Tick to make a warm bed out of its doldrums. The songs on Vol. 2 are, on the whole, shorter but more muscular. “Don’t Hurt” kicks things off with the blue-collar gusto of a punked-up Springsteen. The rest of the set pays similar tribute to Deer Tick’s rock heroes. Paul Westerberg hangs over the raucous guitar pop of “Jumpstarting.” Elsewhere, “It’s A Whale” and the aptly titled “Sloppy” revel in the beer-soaked garage punk the Rhode Island outfit has always delighted in. 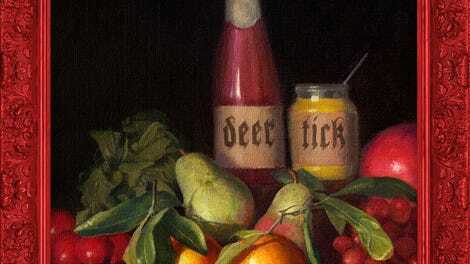 For all the noticeable gains Deer Tick has made in its songwriting in recent years, Vol. 2 offers sufficient proof that it hasn’t lost its raw nerve. It could be argued that Vol.1 and Vol.2 are a bit too compartmentalized, especially for a band that’s always blurred the lines between country and punk, quiet and loud. But in putting everything in its right place, the set undeniably highlights the breadth of Deer Tick’s still-evolving skill set. More than any of its previous efforts, this is the product of a band being true to itself. Purchasing Deer Tick Vol 1. and Vol. 2 via Amazon helps support The A.V. Club.